Dropped from around three feet, Hit it trying to catch it and it hit on one corner and then bounded to the other,. Neither glass front nor ceramic back had any damage.. Light supcse case was all it had on it. bhatech, tadpoles, felloffthetruck and 4 others like this. Best way to save it is by hacky sacking (or light soccer kick) it back into your hands. If you kick it wrong you'll end up kicking it further/faster/harder/longer away from you. I can teach you guys/gals for a price! Should we just send you our S10 and you can make a video? The video will cost you so......no deal!! I'll trade you for a winning lottery ticket though! Whew that is always terrifying. My heart skipped a beat when I read the thread title. I don't think I dropped my S8, within the last year. Got my S10 and dropped it the second week I had it. My Spigen case saved the day... no damage. I had a supcase on my S8+ and it fell face down on the kitchen floor from the counter top and nothing happened to the screen. I love supcases. Just out of curiosity what Spigen case do you have? My husband said his Neo hybrids a little too slippery I need to get him another one. Just out of curiosity what Spigen case do you have? My husband said is Neil hybrids a little too slippery I need to get him another one. Same one. It didn't slip out of my hand... The tail of my shirt was covering my back pocket when I went to stick it in there. Oh ok I just heard a couple others say that it was slippery and then he said the same thing my husband but I just thought about getting him a different one I don't know. But it's great that it protected your phone. I just can't see how people can go caseless. But you had a case on it, that was key. Did the s8 sup case have the built-in screen protector? 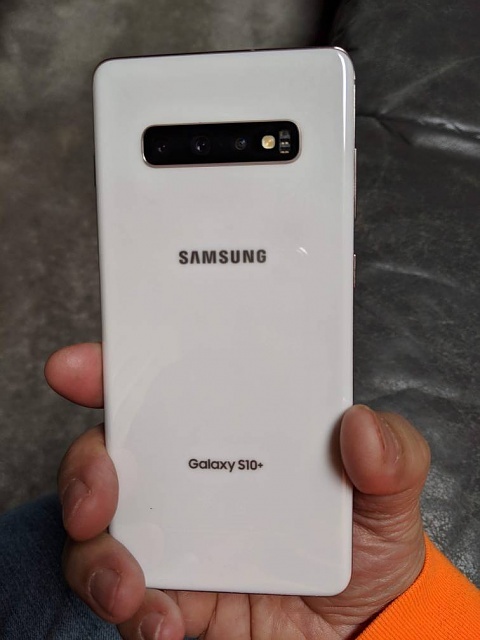 The lack of the integrated screen protector cases for the S10 makes it not nearly as protective as for the older models. Traditionally the most protective of cases had an integrated screen protector. Ones like otterbox LifeProof pelican and sup. I haven't checked if you can get those cases for the S10. Obviously you'd be giving up the fingerprint scanner if you did. No, I did not have the supcase w/screen protector. I was very lucky. For the beach or camping, I had the red pepper case for my S8+. That was full protection. Are you using the UB Pro case? How to create my own running training routine on Gear Fit 2 Pro?